This land of dramatic contrasts invites us to encounter its ancient ruins and sacred mosques, endless desert and storied mountains, imposing kasbahs and spirited souks. 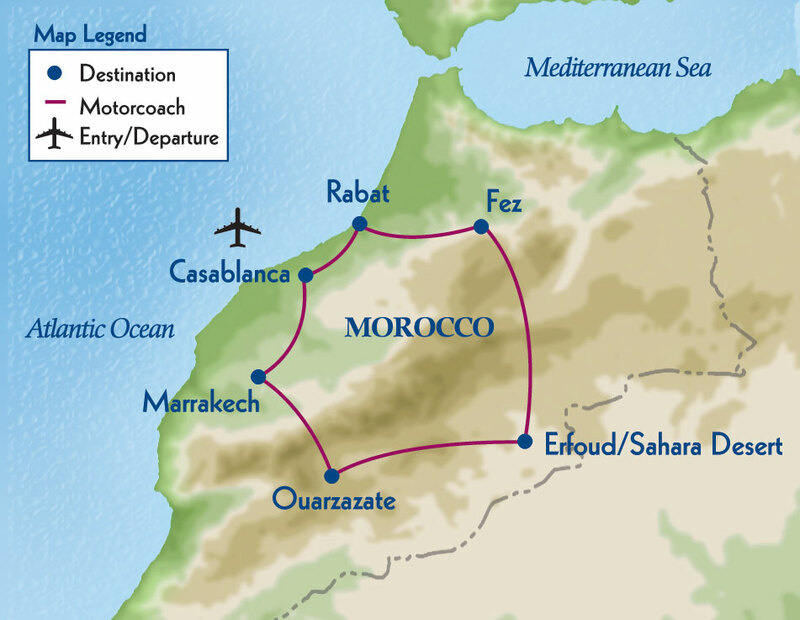 As we travel from the imperial cities of Rabat, Fez, and Marrakech to the High Atlas and vast Sahara, we open our eyes, and hearts, to a truly foreign land, an age-old culture, and genuinely hospitable people. Day 14 : Depart for U.S.